What Have आप Done?. Esmeralda and Tulio are fighting... over something I haven't thought of. Use your imaginations and thhink about what to प्रेमी would fight violently about XD. 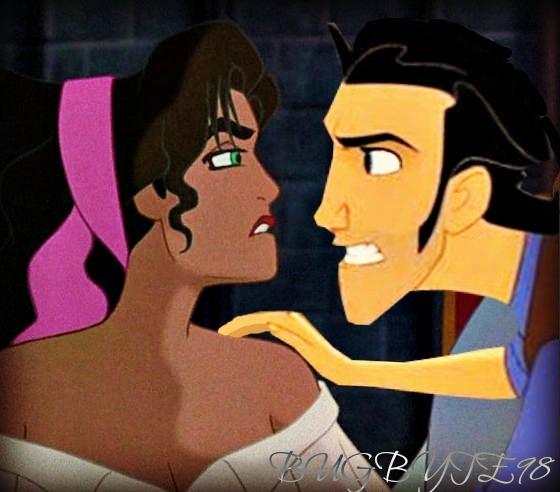 Wallpaper and background images in the डिज़्नी क्रॉसोवर club tagged: disney crossover dreamworks tulio esmeralda.